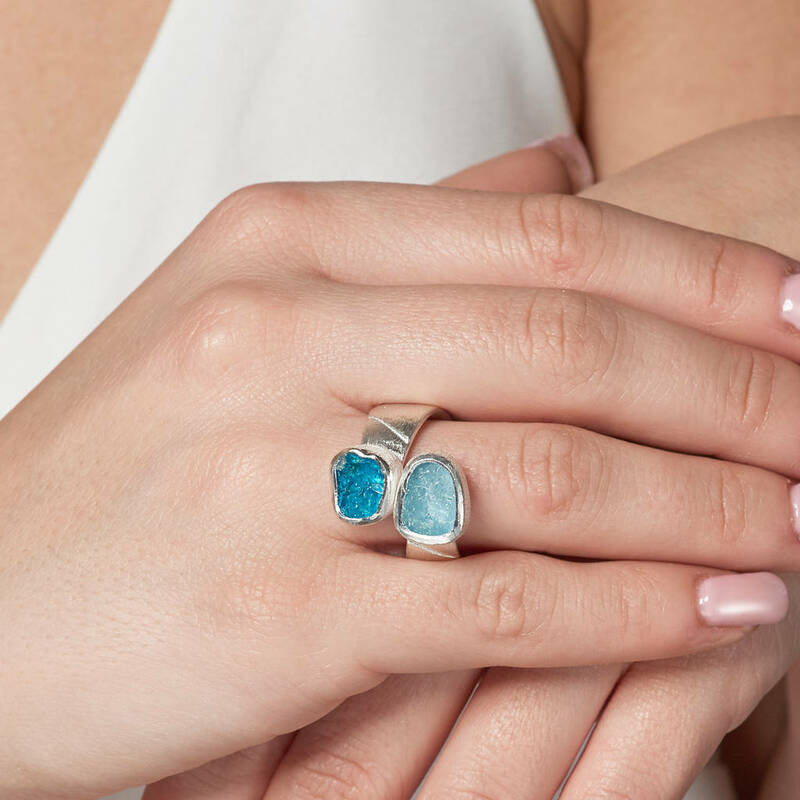 Statement adjustable Aquamarine and Apatite gemstone ring set with two rough cut gemstones set in a brushed sterling silver setting. 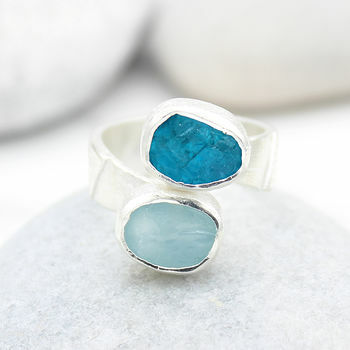 In a gorgeous shade of aquamarine blue and green this adjustable silver ring would make a beautiful and unique gift for a birthday, wedding, anniversary, Christmas, Mother's Day, graduation, thank you gift or just a gift to yourself and is suitable for both day and evening wear. 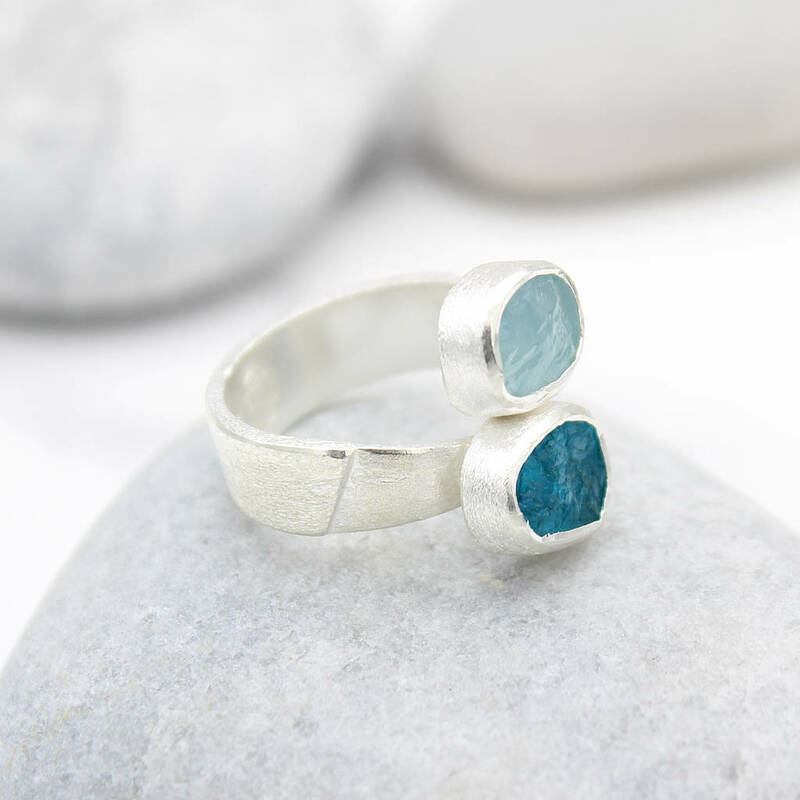 This lovely ring is handmade, our natural rough semi precious gemstones are hand selected for quality and colour ensuring every piece of jewellery is unique. 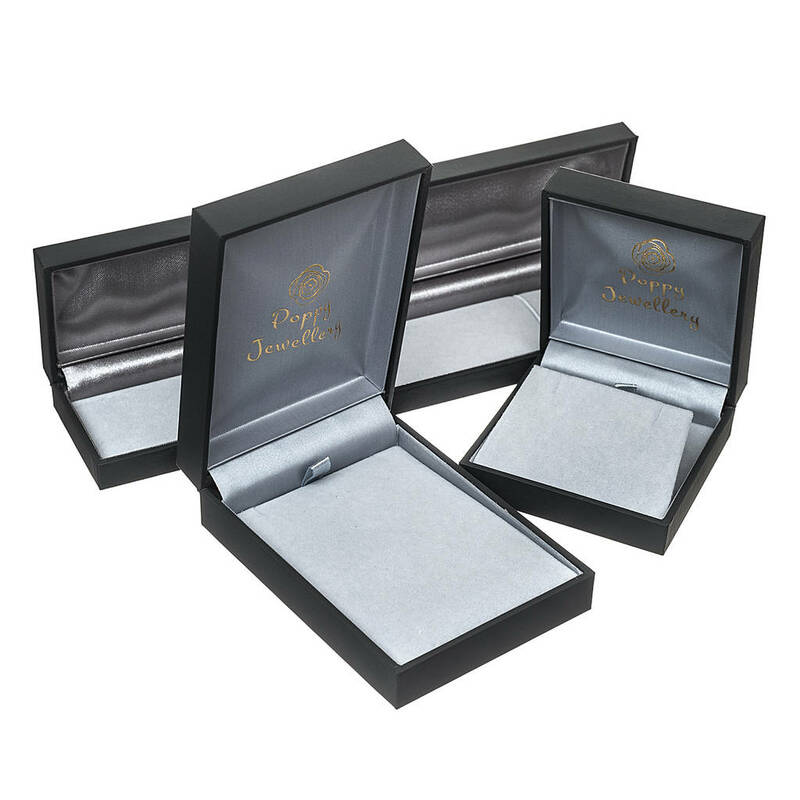 All our jewellery is carefully hand wrapped in tissue and provided in a velvet pouch. 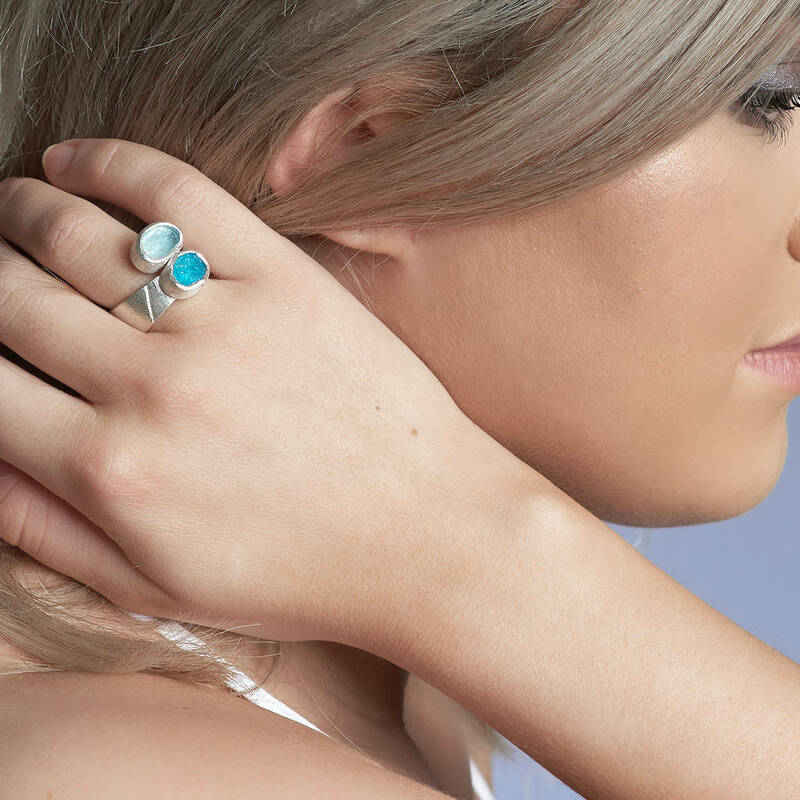 Brushed sterling silver with semi precious rough gemstones of Aquamarine and Apatite. Please select your ring size from dropdown menu. 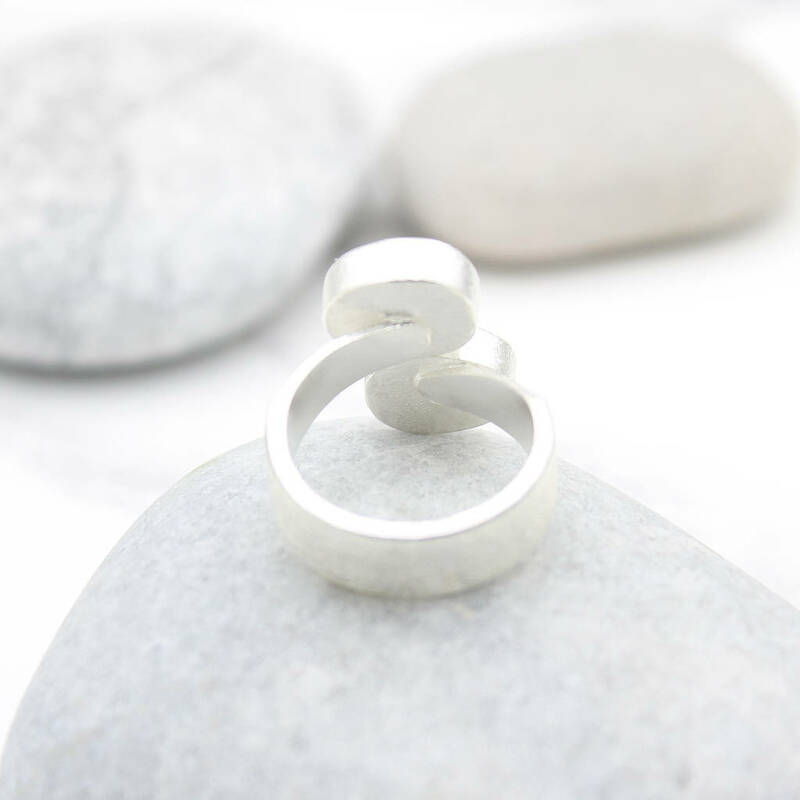 Please note this is an adjustable ring and will adjust by one size up or down comfortably. The approx size of the total stone area is 1.8cm x 1cm. Please note as we use natural rough gemstones each ring will vary slightly in shape, size and colour shade.